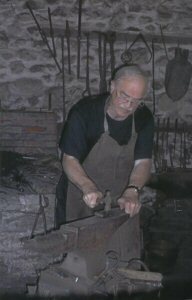 During 2010-11, I was a member of New York State Decorative Blacksmiths. 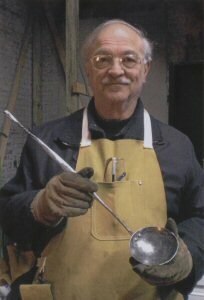 At a number of sites and forges, I attended demonstrations and learned to make such items as a nail (more challenging than it sounds), mantel hook, trivet, ladle (pictured here), and tongs. 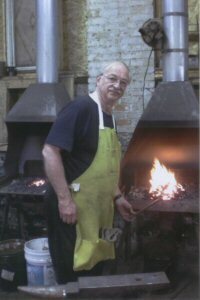 I am especially grateful to Peter Parry for his expert help and patience.